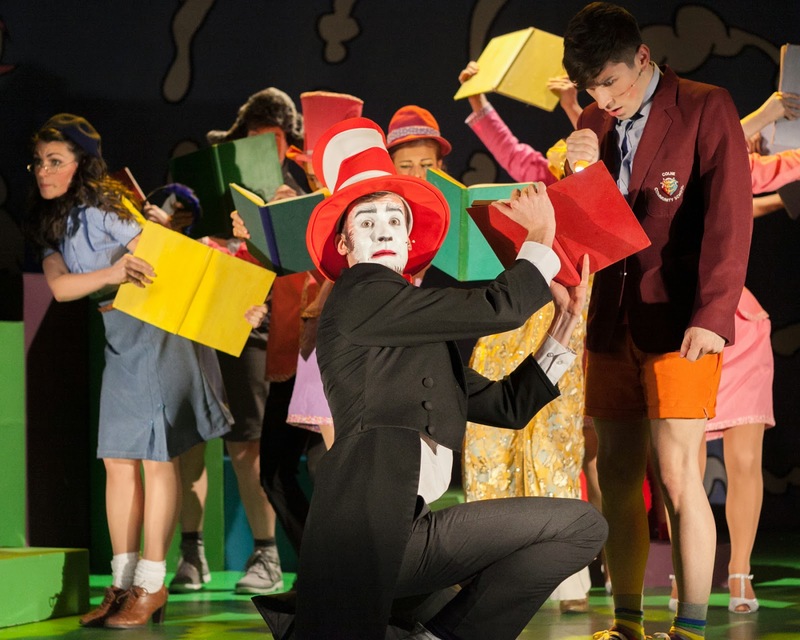 Seussical returns to London as the Arts Theatre's festive family offering. Based around the 1950s Seuss classics that featured Horton the elephant, the show takes a handful of the good Doctor's characters, combines his verse with music and fashions a tale of selflessness and morality that touches all in the audience with its universal familiarity. The strength of this production in particular is in the talent on stage and Sell A Door productions have cast their show extraordinarily well. The predominantly young company have excellent poise, presence and voice, with Racky Plews again proving to be one of the more inspired choreographers in the business. The movement is slick and immaculately drilled. Notable amongst the cast are Elliot Fitzpatrick who truly becomes the The Cat In The Hat and Jessica Parker's Mayzie La Bird, a gorgeously flamboyant peacock with scant attention to parental responsibilities. Whilst the show is billed as the "theatre for young audiences version", be cautious if bringing very young kids. When the dialog is one to one, with minimal background distraction, then the magic of Seuss' assonance shines through. Turn up the pre-recorded music however and with it, inevitably, the speed of the singing and the glorious detail of the poetry is squandered. If some of the lyrics were lost on this "fully-facultied" reviewer, then I suspect there will have been several boring stretches for the kids. Too many of Seuss' creatures are only suggested in design rather than fleshed out in more detail (The monkeys appear to be elegantly suited Mods. I loved ‘em, but would an infant think “monkey”? I’m not too sure). Whilst savvy adults and stylish teenagers appreciate clever suggestions and provocative costumes, young kids need it a bit less slick and a tad more obvious. Kirstie Marie Ayers puts in a sweet turn as Gertrude McFuzz, a bird who upon eschewing feathered vanity discovers that she can fly, but where was the flying harness that could have made her soar across the stage, Sell A Door? This is Christmas after all and surely the kids in the audience deserved at least one "wow" scene, given all the eye-candy laid on for the grown-ups. Towards the show’s end there is one moment of audience participation, but it comes as too little, too late for the tots. Beautifully performed nonetheless and lasting a little over the hour, Seussical is a family show that will probably best appeal, not to the very youngest, but definitely to those kids (and grown ups) who love Suess’ brilliance and can appreciate a classy interpretation of the writer’s wit.